That’s it. Their bedroom needs to be as dark as you can reasonably make it for nighttime sleep as well as for naps. Do not use nightlights or mobiles that light up, cover any LED lights coming off of cameras or fans with a tiny piece of electrical tape. If there is something in your child’s room that puts out light, it should be removed or the source of light should be safely covered. The darker your child’s room is the better, especially when we’re talking about early morning sleep. Use white noise all of the time your child is supposed to be asleep, so from the moment bedtime starts until the moment your kiddo leaves their bedroom in the morning, and for all naps. White noise should be used as loud as you feel comfortable, and should be placed a few feet away from your child’s head. White noise should sound like a fan, or as close as possible to a fan, and should not come from your phone or ipad. Preferably you would use a commercially available white noise machine that can be used without a timer. Do not use ocean, nature, or musical sounds. Just pure, straight, consistent white noise all night long and for naps. If your child is younger than 12 months of age, their crib should be completely empty. No blankets, loveys, pillows, bumpers, positioners (like Doc-a-Tots, etc), and nothing that elevates the crib for reflux. Your infant should be sleeping in a crib that contains a mattress, a fitted sheet, and them. Pacifiers are technically fine as well. 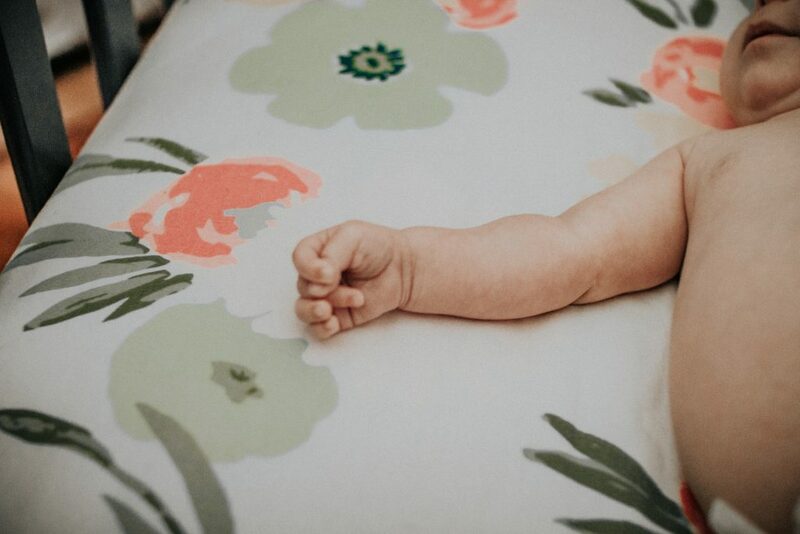 Regardless of whether you room share or not, if your child is ever sleeping alone in a bedroom in a crib, you should be able to monitor them directly. Without going into details (because who needs scary scenarios filling their mind! ), I can think of 6 instances where parents I personally know were not directly supervising their baby or toddler during sleep through a video monitor, and as a result had their child suffer physical injury (or worse). Do not ever allow your child to sleep without being able to watch them via video monitor. Make certain the camera is not touching the crib, but is instead mounted to the wall or placed onto a piece of furniture. And that’s it! That’s all you really need to ensure your child gets the best, most healthy sleep they need all night long and for naps. 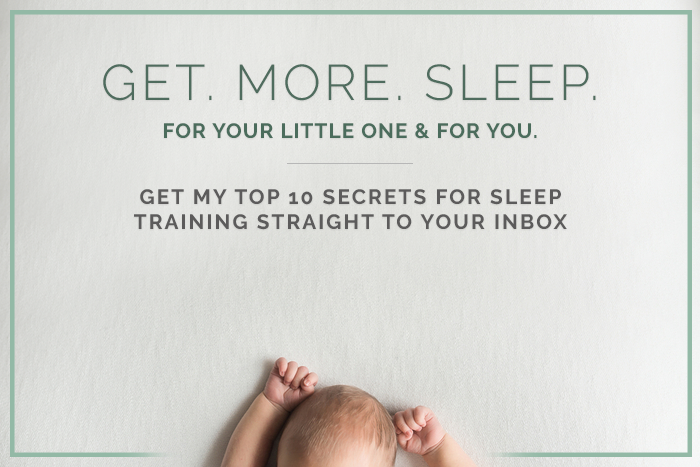 If you want more tips for setting your baby up for sleeping success including age-appropriate schedules – sign up for my newsletter! Cool!! How do you deal with the night vision aspect? I find unless you’re using a “baby” video monitor that cameras can’t pick up on what’s going on without some for of light. Didn’t get your reply for some reason 🙂 We have some night lights in the room that seem to generate enough light. But you’re right, under most scenarios, you’d probably need some infrared lights to be able to see very well. Do you recommend a white noise machine over a box fan? Hey there, wondering why you said not to use phones or iPads? My husband and I have an old iPad laying around and it plays the white noise great, wondering if we should spend the money on a machine?